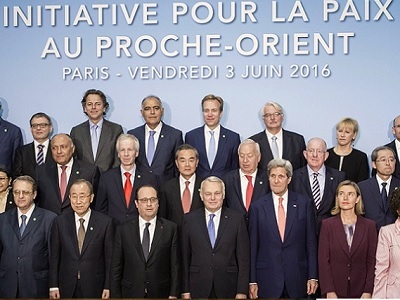 Palestinians had mixed reactions following a summit held in Paris on Sunday, with some expressing doubt at the likelihood that a new round of international negotiations would help reach a resolution to the Israeli-Palestinian conflict. 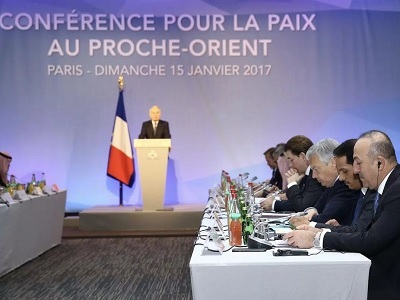 Palestinian President Mahmoud Abbas thanked the French government as well as all countries which participated in the summit, saying that the conference confirmed the international commitment to a two-state solution and the rejection of Israel’s illegal settlement activity in the occupied Palestinian territory. Abbas reiterated his support of UN Security Council Resolution 2334 regarding Israeli settlements and the necessity to apply it in order to preserve the possibility of a two-state solution, and called on all countries which haven’t yet recognized a state of Palestine to do so. 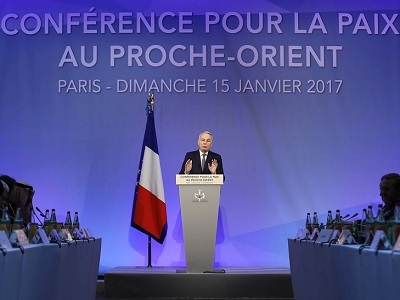 Palestine Liberation Organization (PLO) Secretary-General Saeb Erekat also welcomed the conference in a statement on Monday, stating that the international community was telling Israel with this summit that peace and stability couldn’t be achieved in the Middle East unless the Israeli military occupation came to an end. However, Hamas spokesman Fawzi Barhum, called the conference on Monday a reaffirmation of “useless” negotiations which have legalized the Israeli occupation of Palestinian land and contributed to the loss of Palestinians’ rights. Democratic Front for the Liberation of Palestine (DFLP) leader and PLO Executive Committee member Taysir Khalid also criticized the summit’s final statement for “lacking balance” and not taking a strong enough stance against Israeli violations. The final statement issued by participating countries was watered down in its condemnation of settlements, with Israeli officials crediting Israeli efforts for the “significant weakening” of the final text, according to Israeli media. The most recent spate of Palestinian-Israeli peace negotiations, led by the US, collapsed in April 2014, as all past efforts towards peace negotiations have also failed to end the decades-long Israeli military occupation or bring Palestinians closer to an independent contiguous state.